Senior Vice President of Maxis Lucy Bradshaw wrote a blog entry yesterday on The Benefits of Live Service and the reason why Maxis has chosen an always online approach. The blog entry touts much of Glassbox’s functionality and the interactive dynamics to create a more immersive experience through functionality. 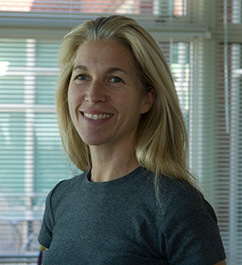 Hi everyone – I’m Lucy Bradshaw and I lead the Maxis Label here at EA. Last week, we held a Reddit Ask Me Almost Anything (AMAA) where we gave fans a chance to speak directly to the development team creating SimCity. First off, I want to personally thank everyone who asked us questions and participated in the event –the team really appreciates your feedback. We received some great questions on a range of topics, including the city size, the GlassBox engine powering SimCity, and even how many splines we’ve reticulated over the years (short answer: a lot). One particular topic that was brought up during the chat was our decision to require an online connection to play the game. I’ve also been talking to fans directly on this subject and I wanted to put some of my thoughts on this here on our blog. I understand why this may be a concern for fans who have been playing SimCity for decades now. Like all of you, I’m a long-time SimCity fan. But it’s not just me – we have several veterans from previous versions of the game here at the Maxis studio, and we are all proud and excited about the game we’re making and we think you’ll really love it. Creating a connected experience has always been a goal for SimCity, and this design decision has driven our development process for the game. This is easily the most ambitious game in the franchise and we’ve taken great care to make sure that every line of code embodies the spirit of the series. To do this, we knew we had to make sure we put our heart and souls into the simulation and the team created the most powerful simulation engine in its history, the GlassBox Engine. GlassBox is the engine that drives the entire game — the buildings, the economics, trading, and also the overall simulation that can track data for up to 100,000 individual Sims inside each city. There is a massive amount of computing that goes into all of this, and GlassBox works by attributing portions of the computing to EA servers (the cloud) and some on the player’s local computer. Perhaps Ocean said it best when he said that real cities do not exist in a bubble; they share a region and affect one another. GlassBox does more than just segregate computing tasks, it also allows us to make it so that you can create specialized cities that are visually unique and personalized, and that can be economically integrated into a larger region. You’re always connected to the neighbors in your region so while you play, data from your city interacts with our servers, and we run the simulation at a regional scale. For example, trades between cities, simulation effects that cause change across the region like pollution or crime, as well as depletion of resources, are all processed on the servers and then data is sent back to your city on your PC. Every city in the region is updated every three minutes, which keeps the overall region in sync and makes your decisions in your city relevant to any changes that have taken place in the region. Running the regional simulation on our servers is something we also use to support features that will make this SimCity even more fun. We use the Sim data to update worldwide leaderboards, where you get to see your city or mayoral standings as compared to the other cities in your region and between all of the regions in the world. And since SimCity is a live service, we’re also using the data to create weekly global and local challenges for our players that keep the gameplay fresh and surprising. We think this is the best SimCity ever and it wouldn’t be possible without the technology that powers our game. SimCity was designed to be connected from the ground up. We built the game around GlassBox, which takes the game to another level. And, we’ve given the player control over how to play. You can set your region to private and never interact with other people, or you can play exclusively with friends or join a public region. We’re entering the final stages of development. We’re still tuning and refining the game but already it has that special magic that sucked me into the franchise in the first place. We really look forward to seeing what you will create and how you will Mayor come March 5th.